Bosch Group has completed its new headquarters and the expansion of its technical centre in Yongin, Gyeonggi, Korea. Originally planned as a five storey building, the facility was recently expanded to 10 storeys and over 25,000 square metres - space for up to 500 employees. The technical centre will be used for application engineering for petrol and diesel fuel injection, chassis systems, electronics and control units and will be staffed by about 100 engineers. It will also be a sales centre for the Korean automotive aftermarket. Bosch spent 21.7bn won (EUR18m) on the project. It has spent 370bn won (EUR300m) in Korea since 2000, including manufacturing facilities and technical equipment. The new headquarters is the central office for Bosch in Korea which has eight other facilities in the key auto-making country, including five manufacturing locations in Daejeon, Gunpo, Anseong, Buyong and Busan. Bosch said Korea, where it has sold products for almost 90 years, remains an important country in its Asia-Pacific strategy. The supplier employs more than 3,000 people there, with 10% involved in research and development. Bosch expects 2007 Korea sales to rise 8% to 1.8 trillion won (EUR1.4bn) compared with a 8.5% rise to EUR7.4bn for the whole Asia-Pacific region. The group expects its global sales this year to rise 5% to EUR46bn. 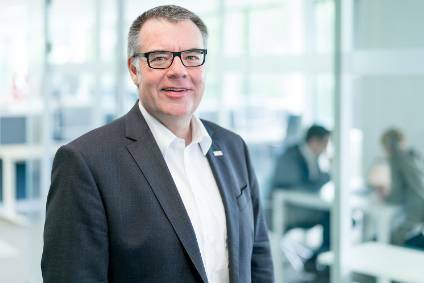 Bosch is assuming full control of EM-motive after the supplier and Daimler set up the operation as a 50:50 joint venture in 2011, manufacturing 450,000 electric motors.